*Michael Vick told an Atlanta radio station Wednesday that he has lots of regrets from his days with the Falcons. He says he was just half-steppin’ back then. He says he’s sorry that he didn’t work hard enough at becoming the quarterback the Falcons needed him to be. But things are gonna be different next year. Where ever he’s playing he’ll be a much more dedicated quarterback, and that he expects to be a better player in his 30s than he was in his 20s. “The Michael Vick Project,” a 10-episode docu-series, is airing every Tuesday at 10 p.m. on BET. Vick said he did the show so he could answer everyone’s questions and wipe the slate clean. He’s been speaking to children’s groups and hopes to speak at the NFL rookie symposium. Vick said he knows he has a long way to go to change people’s perceptions of him. I saw the first installment of this series and was very surprised about how candid he was being. Definitely would like to see the rest. I really appreciate when people come clean…straight, no chaser. No sugar coating. I really respect him for that and wish him all the best as he moves forward. Glad that he’s learned a lot of life lessons, is applying them and turning things around. 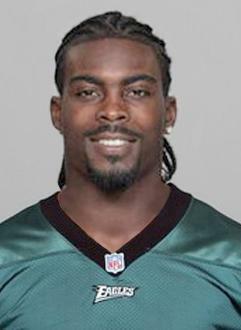 I applaud Vick’s efforts to recognize and move past his mistakes. He was young, rich, and dumb and as with all those who break the law, he thought he wouldn’t get caught. He has paid his debt and is trying to be a motivator to others. I wish him much success in the future.